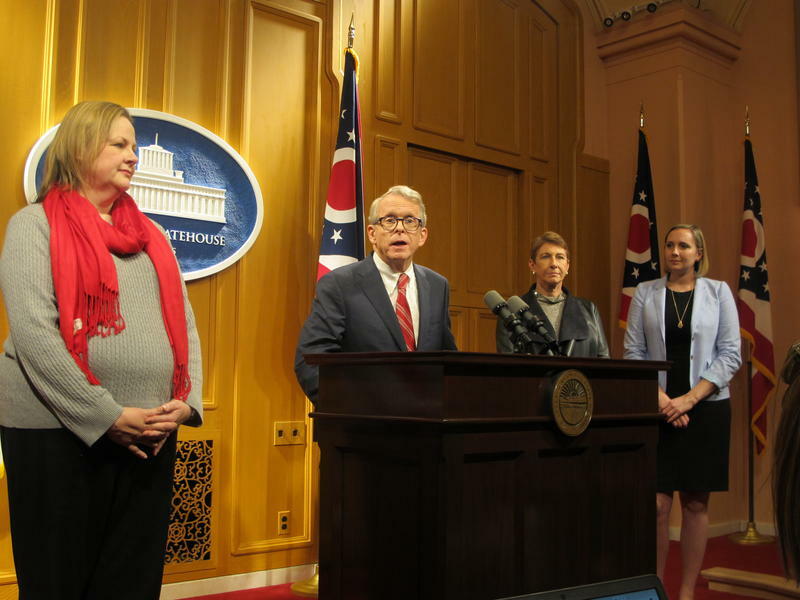 Ohio governor-elect Mike DeWine announces cabinent appointments (from left) Ervan Rodgers, Alisha Nelson, Ann O'Donnell, Laurel Dawson, Mary Mertz and Major General John Harris. Major General John Harris is DeWine’s choice for Adjutant General of the Ohio Army National Guard, and DeWine’s first assistant Attorney General Mary Mertz would be Director of the Ohio Department of Natural Resources. His longest serving staff member, Ann O’Donnell, will be his chief advisor. DeWine, who led an all-white male GOP ticket, pledged during the 2018 campaign to promote diversity if elected. Others coming over from DeWine’s current office are Alisha Nelson, who will lead the RecoveryOhio program he’ll create to fight the opioid crisis, and Ervan Rodgers, as the state’s chief information officer. DeWine had previously announced his transition team chief of staff Laurel Dawson will stay on in that position. 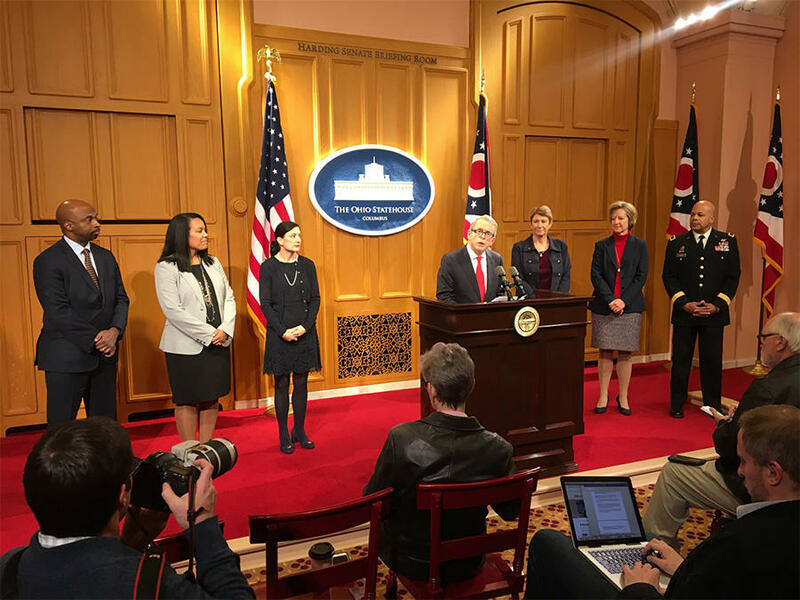 Gov.-elect Mike DeWine and incoming Secretary of State Frank LaRose have announced their transition teams – the people who will help set policy, personnel and priorities for the next four years.